Today at 7.00 pm GMT ASUS CEO Jerry Shen announced ASUS Zenfone2 and ASUS Zenfone Zoom at CES 2015 in Las Vegas. 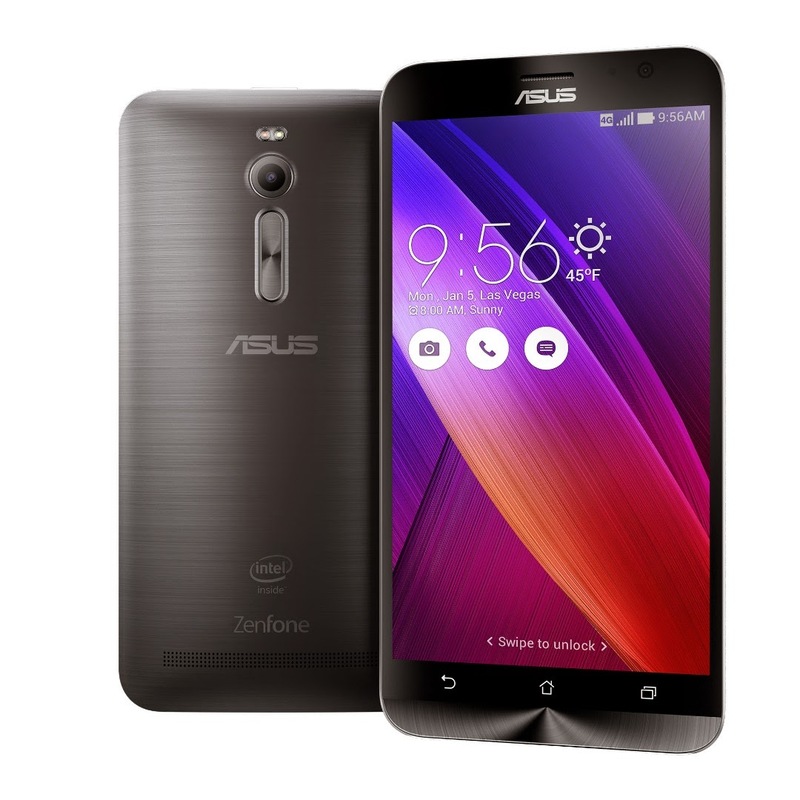 ASUS today unveiled ZenFone 2 (ZE551ML), the flagship smartphone in the new-generation ZenFone family. With a gorgeous all-new ergonomic design, a 5.5-inch Full HD IPS display, 13MP/5MP PixelMaster cameras, a 2.3GHz 64-bit Intel Atom processor with 4GB RAM and 4G/LTE connectivity, ZenFone 2 delivers powerful all-round performance. Building on the resounding worldwide success of ASUS ZenFone, which sold 1,500,000 units per month in the fourth quarter of 2014 and garnered enthusiastic reviews from journalists and users alike, the much-anticipated ASUS ZenFone 2 premieres many evolved features including a new version of ASUS ZenUI — which has the world’s first fully-customizable interface — and Trend Micro™ security software for safe web browsing. "The passion behind the design of ZenFone 2 is our never-ending desire to empower luxury for everyone,” said ASUS Chairman Jonney Shih, “We have drawn on our considerable engineering expertise and experience with our popular ZenFone to create a smartphone that embodies this ambition. That device is the incredible new ZenFone 2 — luxury that everyone can enjoy." ASUS ZenFone 2 has a stunning, all-new design employing iconic ASUS design elements that echo the spirit of Zen, with a luxurious brushed-metal finish and distinctive concentric-circle detailing. ZenFone 2 introduces new and evolved aesthetic refinements, including a graceful curved case that tapers to an incredibly thin 3.9mm at the edges to lend ZenFone 2 a bold yet elegant look. This curvature provides exceptional comfort and a secure grip, and intuitive control and convenience is further enhanced by the rear-mounted volume control key — ideally-positioned for the user’s index finger. ZenFone 2 has an incredibly sharp and vivid 5.5-inch Full HD IPS display with a 403ppi pixel density and a wide 178-degree viewing angle, ensuring lifelike photos and videos and great-looking apps. ASUS TruVivid technology enhances display performance even more with bright, brilliant colors. The display has an ultra-narrow 3.3mm bezel, giving ZenFone 2 a remarkable 72% screen-to-body ratio for a maximized viewing experience, and is covered with Corning® Gorilla® Glass 3 for superior resistance to damage and fingerprints. An anti-fingerprint coating reduces friction by 30%, giving a luxuriously-smooth feel to touch gestures. ZenFone 2 is available in five unique colors that, together with the beauty and customizability of ASUS ZenUI, result in a smartphone that is truly personal, both inside and out. 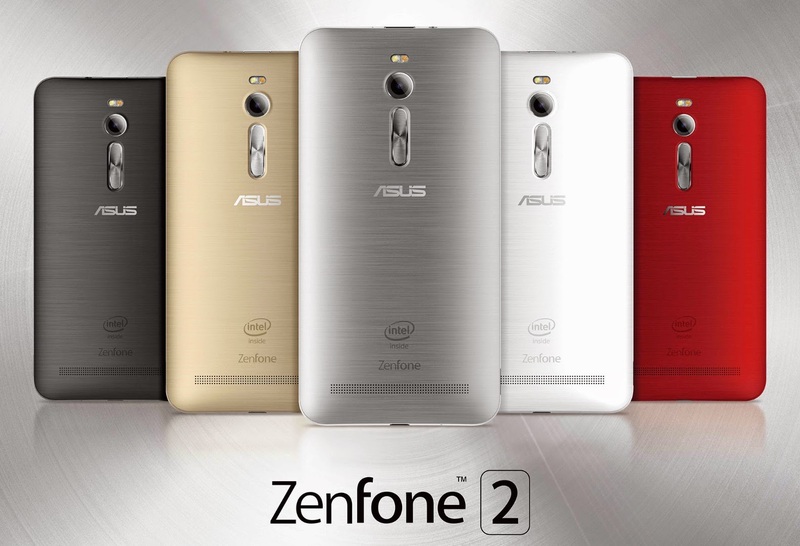 The ZenFone 2 color portfolio includes Osmium Black, Sheer Gold, Glacier Gray, Glamor Red and Ceramic White. Special Transfusion and Illusion covers are available that give users even more choices to match their own unique style. ASUS ZenFone 2 has a 13MP PixelMaster camera with an f/2.0 wide-aperture lens to capture stunning, high-resolution photos with zero shutter lag. This industry-leading Low Light mode employs pixel-merging technology to capture up to 400% brighter photos at night, or in low-light scenes, without the need for a flash. When a flash is preferred, ZenFone 2 is equipped with a Real Tone flash to ensure warm skin tones and accurate color. The ZenFone 2 camera also has Backlight (HDR) mode to let users capture vivid, evenly-exposed photos in challenging backlit scenes such as sunset portraits. By using pixel-enhancing technology to increase contrast by up to 400%, Backlight (HDR) mode ensures that foreground subjects stand out clearly and are free of shadows. For those seeking fine-grained control over camera settings like ISO, shutter speed and more, Manual mode offers users a DSLR-like experience right on their smartphone. ZenFone 2 is also equipped with a 5MP front-facing camera with a wide, 85-degree field of view perfectly engineered for taking selfies with real-time beautification. For those wanting to capture a group of friends, or include scenery in their selfie, ZenUI Selfie Panorama mode captures panoramic selfies with up to a 140-degree field of view. ASUS ZenFone 2 is powered by an up to 2.3GHz 64-bit Intel Atom processor Z3580 and has 4GB RAM to deliver up to seven times (7X)1 faster gaming performance than its predecessor. A 60ms touch response time ensures lag-free input, and OpenGL 3.0 provides incredible gaming performance. ZenFone 2 has built-in 4G/LTE connectivity for blazingly-fast data speeds of up to 150Mbit/s plus 802.11ac Wi-Fi, ensuring stutter-free streaming of video and music as well as a smooth all-round mobile experience. Dual-SIM capacity with Dual Active technology makes ZenFone 2 the perfect travel or business companion, allowing users to have two active phone lines on their device so they can keep in touch from anywhere. Users will spend less time waiting and more time enjoying ZenFone 2 with its high-capacity, 3000mAh battery that provides more than a full day of use on a single charge. Fast-charge technology enables recharges to 60% battery level in only 39 minutes. 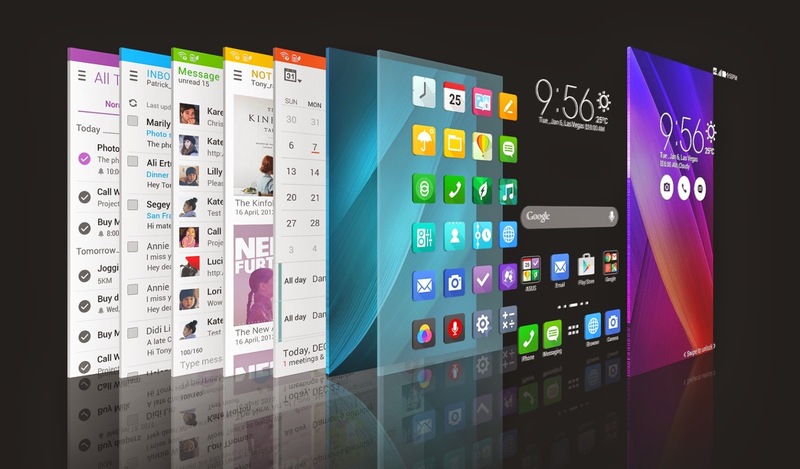 Freedom, connection, and expression form the foundation for ASUS’s ZenUI mobile user interface. These three pillars have also inspired the evolutionary changes to ZenUI for ZenFone 2. This latest version offers a simpler and smarter user experience, with a stylish new layout that utilizes white space for a cleaner design, and which places information front and center for a simpler, smarter user experience. ZenFone 2 is the world’s first smartphone to give everyone the ability to completely customize it to match their personal style and usage preferences, including ZenUI's launcher, themes, fonts, icons, and more. ZenUI has many great new features — including ZenMotion, SnapView, Trend Micro™ security and ZenUI Instant Updates — that enhance usability; ensure security and privacy; and deliver a seamless user experience. ZenMotion is a collection of intuitive touch gestures, each providing a new way of interacting with ZenUI, and allowing quick and easy access to frequently-used features such as One Hand mode or Do It Later. SnapView is a security feature that ensures privacy for apps, photos, and files. SnapView lets users easily keep their personal and business information separate. Trend Micro security is integrated with the ZenUI browser for the total mobile web browsing security. ZenUI Instant Updates is a seamless new method of keeping ZenUI apps up to date. With ZenUI Instant Updates, ASUS app developers can make updates available immediately, avoiding delays between app releases and ensuring the best experience for ZenFone 2 users.